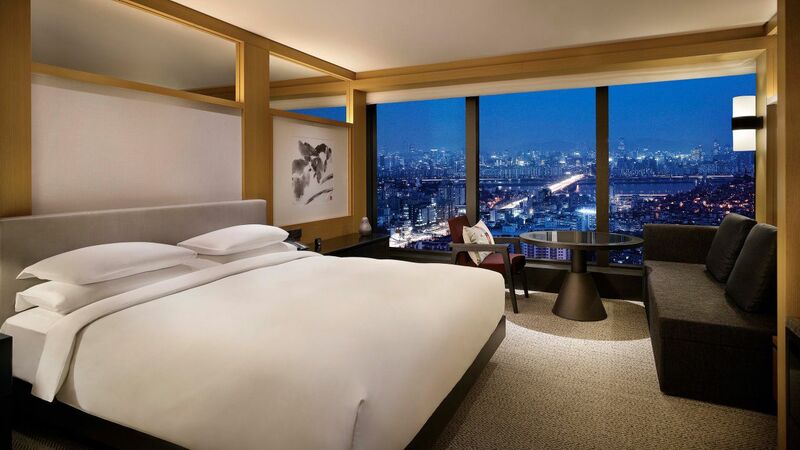 Grand Hyatt Seoul’ 615 guest rooms including 53 suites offer stylish interiors accented with cultural inspiration. 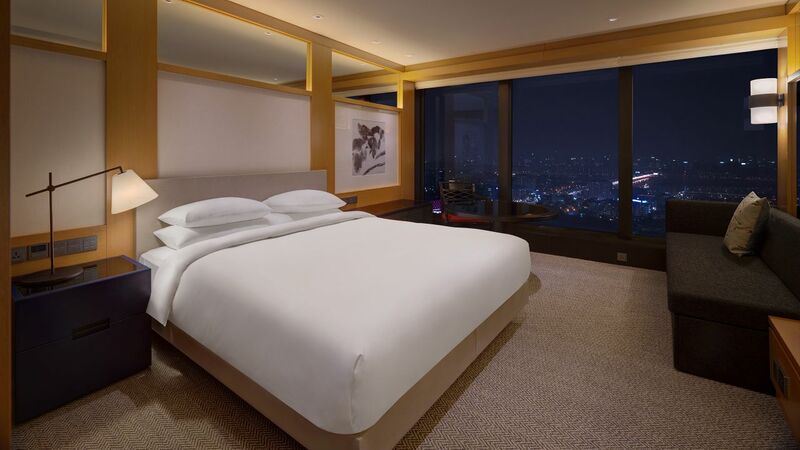 Unwind and relax in our newly designed rooms with floor to ceiling windows offering magnificent views of Seoul. 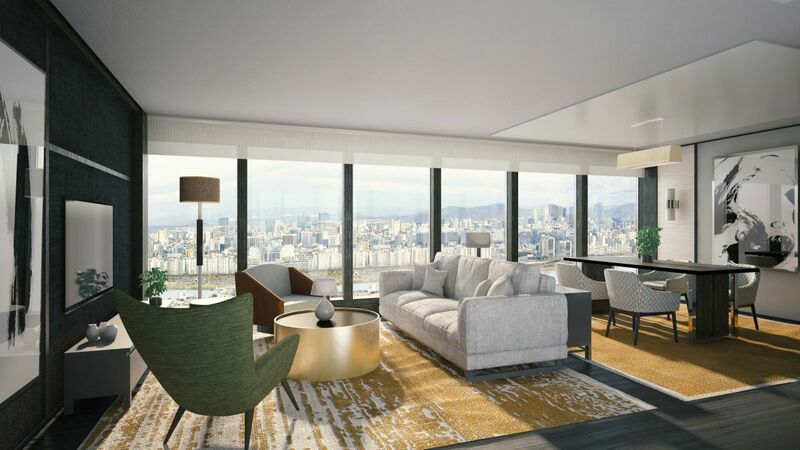 The Presidential Suite is a sophisticated and glamorous 325-square-meter suite that exudes luxury and residential comfort while offering breathtaking panoramic views of the Han River and Mount Namsan. 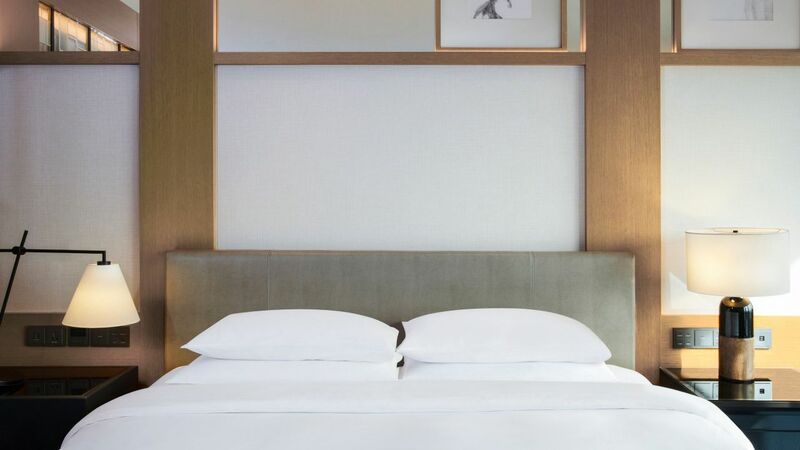 This specialty suite offers peerless magnificence that sets new standards for luxurious accommodation in Seoul for a rare and intimate experience. 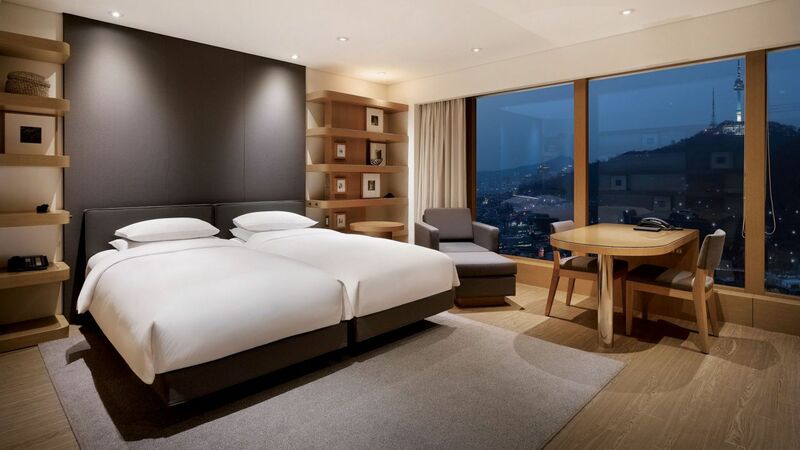 Enjoy the soaring views of the Han River and Mount Namsan in this capacious and stylish 169-square-meter suite. 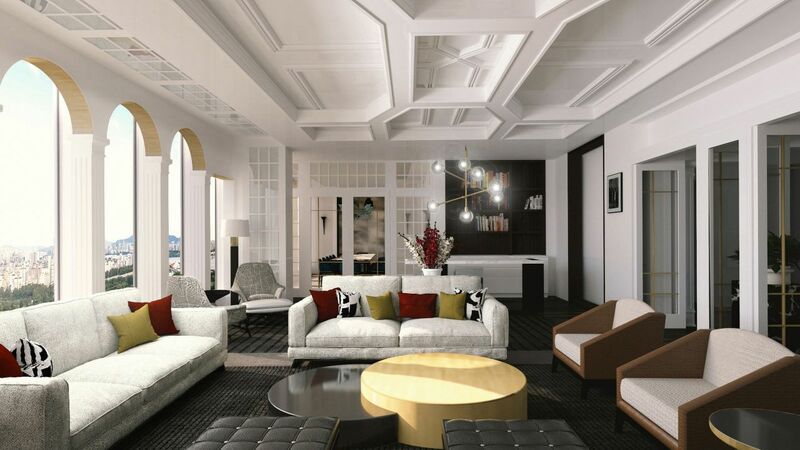 This specialty suite is an ideal choice for extraordinary occasions, social entertaining or luxury living. 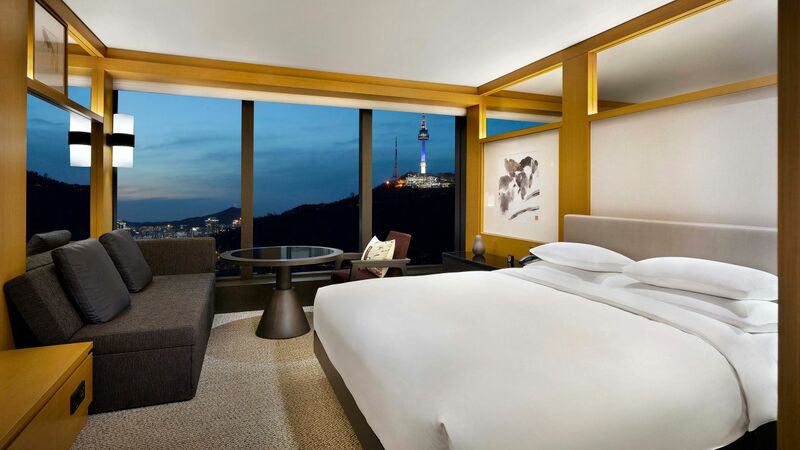 The expansive 82-sqm suite boasts spectacular views of the Seoul skyline. 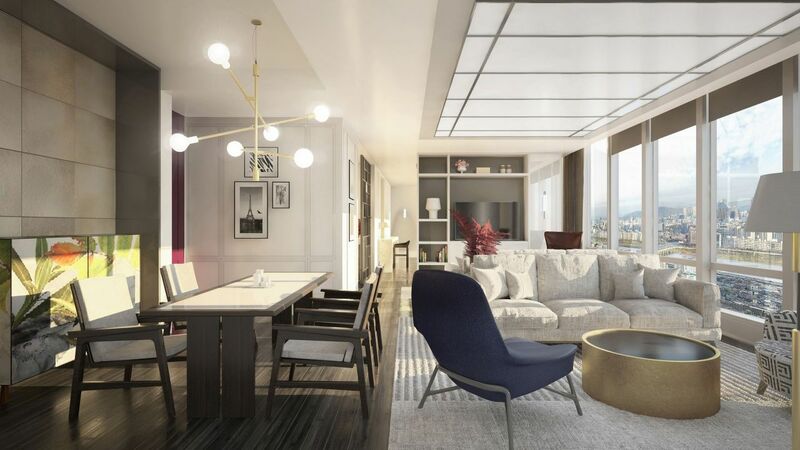 Enjoy the separate living room with dining area, plush king-size bed and marble bathroom with freestanding elliptical tub. This is a specialty suite. 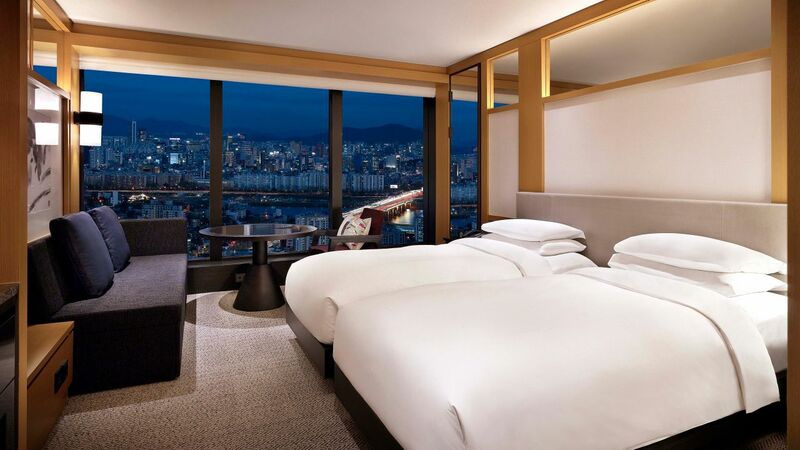 The spectacular views of the Han River welcome you to a specious luxury suite with a separate living area and bedroom. Enjoy the plush twin beds and marble bathroom with deep-soaking tub. This is a premium suite. See World of Hyatt program terms for upgrade eligibility. 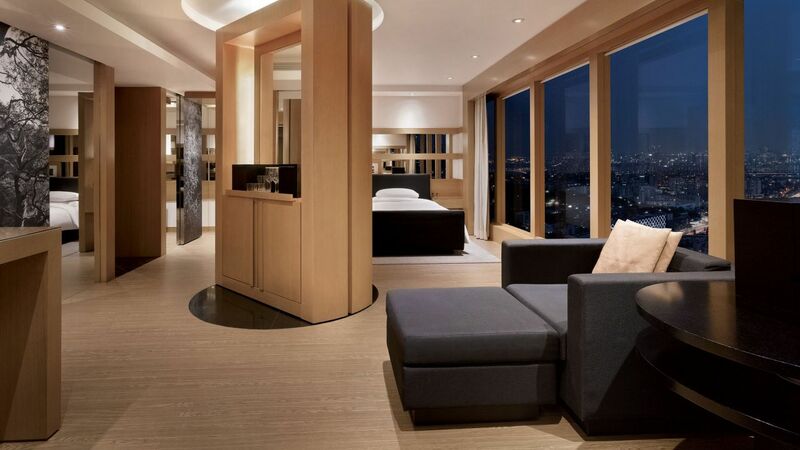 Revel in this generous suite offering spectacular views of the Seoul skyline. Enjoy the spacious lounge area, plush king-size bed and marbled bathroom with deep-soaking tub. This is a premium suite. Grand Suite features a capacious lounge area, luxurious king bed and a master bath with walk-in shower made for your comfort in mind. This is a standard suite. 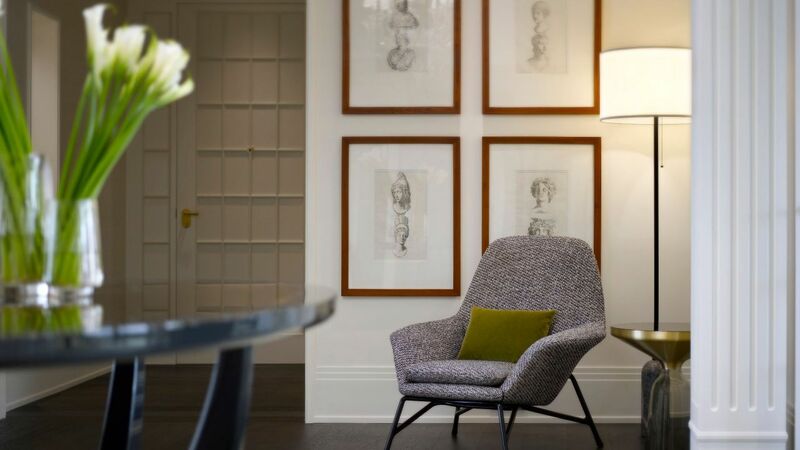 Enjoy additional privileges by enhancing your stay with Grand Club access, including concierge services, as well as morning breakfast, evening canapés and beverages served in the lounge. This spacious 45 sq m (484 sq ft) corner room features an open-concept layout and spectacular picturesque views of Mt. 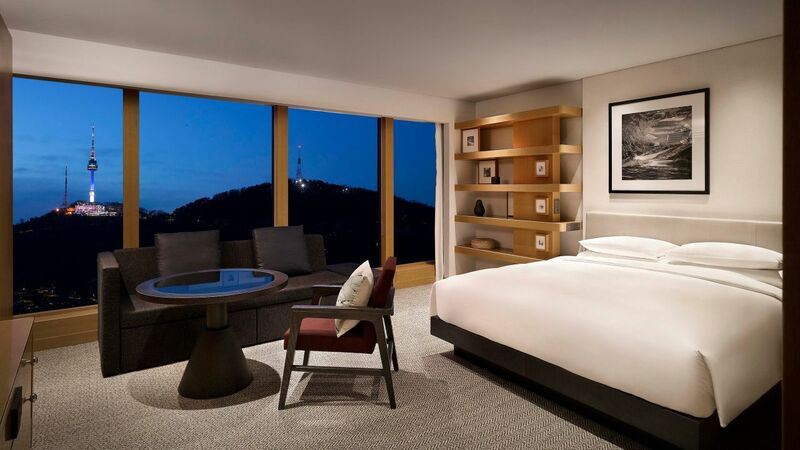 Namsan complemented by modern furnishings. 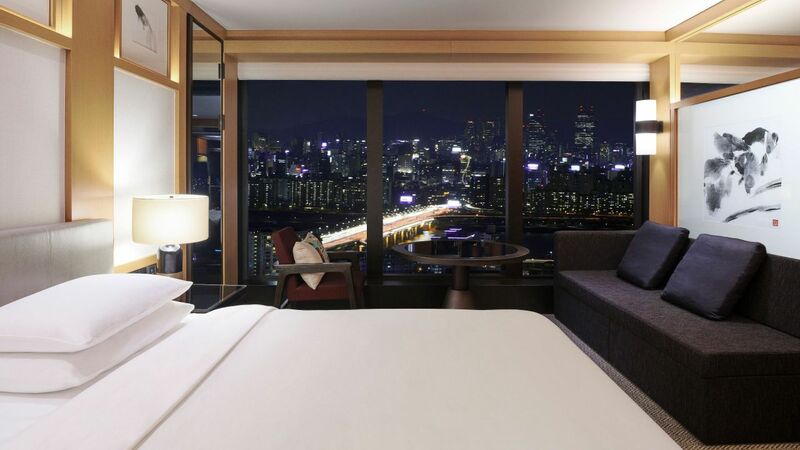 Take in stunning views of the Han River and the city in this modernistic room featuring one king bed with a sofa bed and located on the higher floors. Take in stunning views of the Han River and the city in this modernistic room featuring two twin beds with a sofa bed and located on the higher floors. Take in panoramic views of Mt. 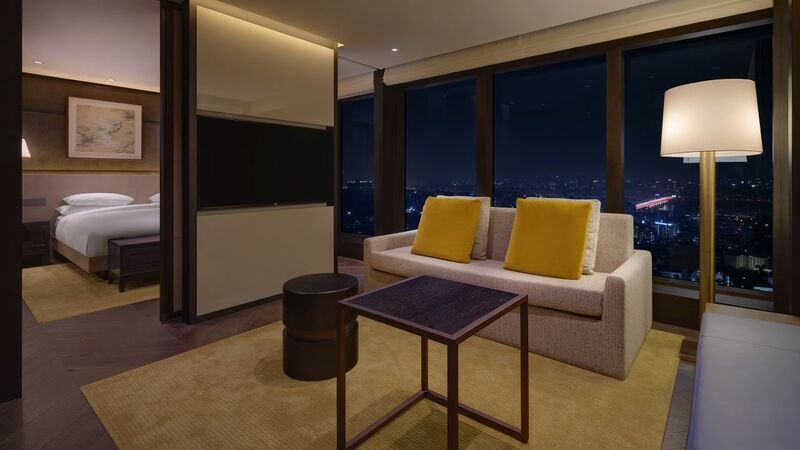 Namsan and the city in this modernistic room featuring one king bed with a sofa bed and located on the higher floors. Take in panoramic views of Mt. 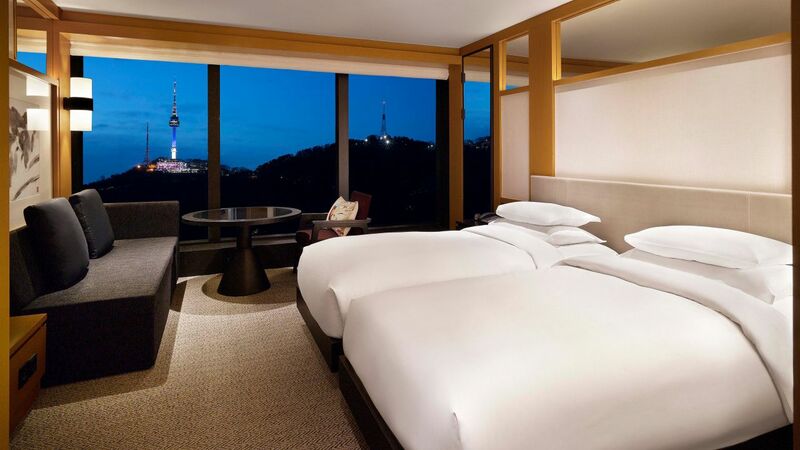 Namsan and the city in this modernistic room featuring two twin beds with a sofa bed and located on the higher floors. Relax in this 30 sq m (323 sq ft) room featuring a king bed and warm, golden-oak furnishings, plus floor-to-ceiling windows with panoramic views. Enjoy your stay in this 30 sq m (323 sq ft) room featuring two twin beds and warm, golden-oak furnishings, plus floor-to-ceiling windows with panoramic views.